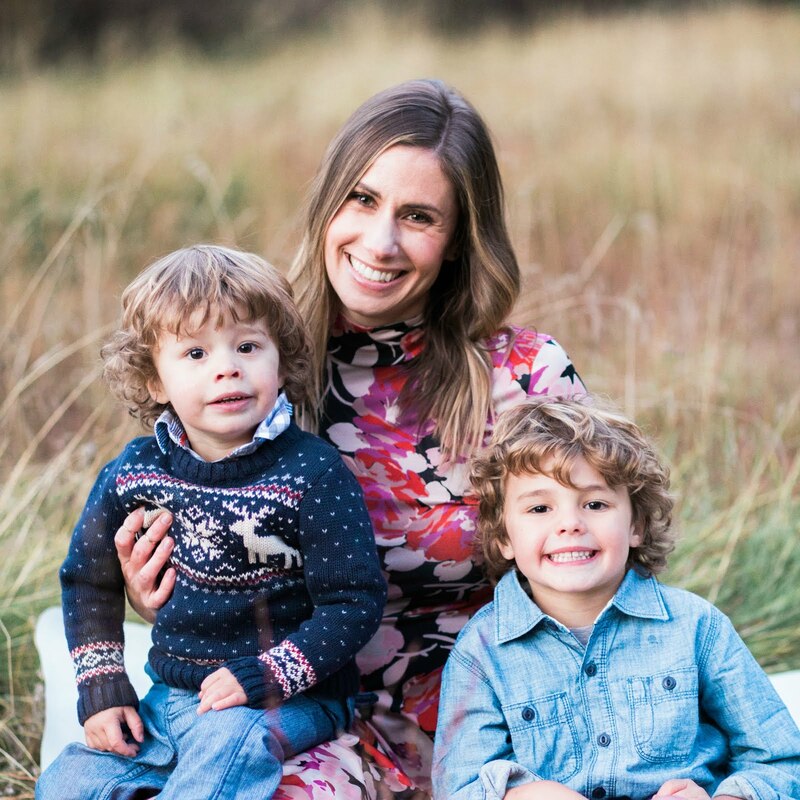 It's been a whirlwind of a holiday season this year! I feel like I blinked and Christmas all of a sudden is less than a week away! 😱 Where as the time gone? I so glad I took a couple pictures to remind me of all that we've done! 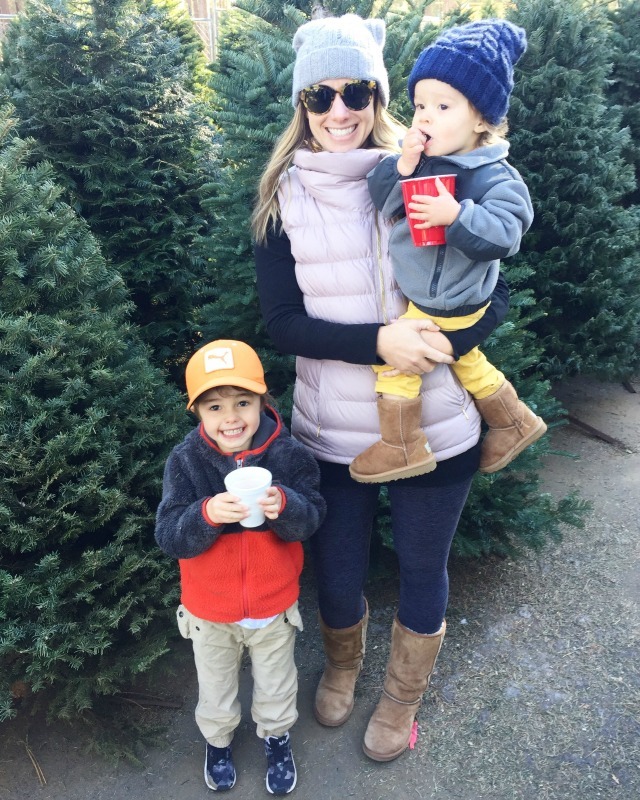 Christmas tree hunting was super fun, especially with hot cocoa and popcorn in hand! All decorated and lit up! We got the tree skirt from Target! Stockings are from Pottery Barn Kids. Some of our wrapped gifts nestled under the tree! 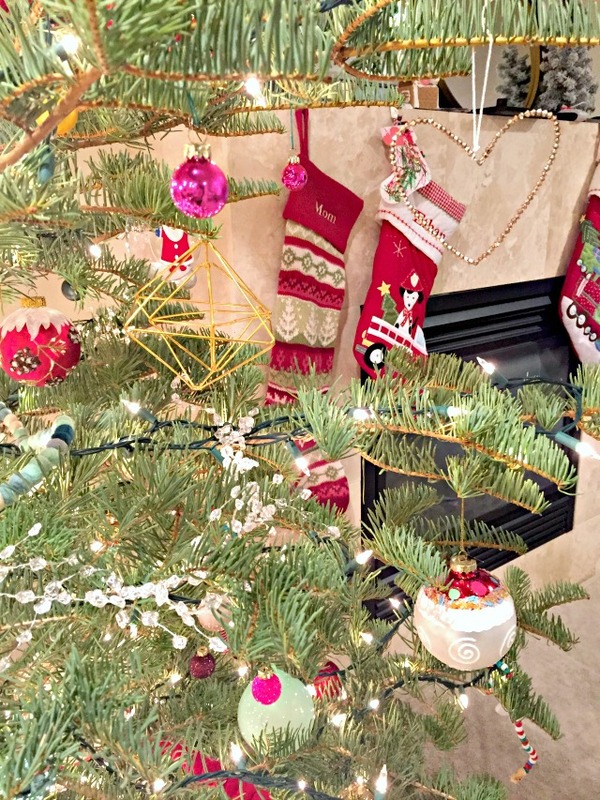 We ordered some new geometric ornaments from CB2 and love them! 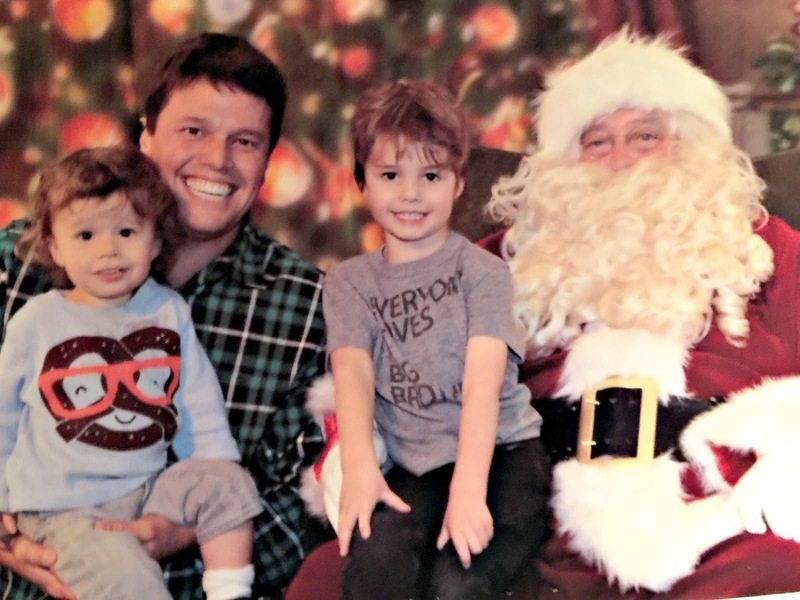 Daddy scored the Santa photo with BOTH boys smiling! Ryan and I spent a kid-free weekend in San Francisco to see the Nutcracker and get some shopping in! I love the holiday decor in the city. Ethan had his preschool holiday program and did such a good job singing! We've also managed to sneak in some snuggles and movie time too! I'm trying to enjoy these last few days of the holiday season!! I hope you are too! Only FIVE more sleeps! so festive- you guys look like you're enjoying the season! i've got a healthy (and delicious!) 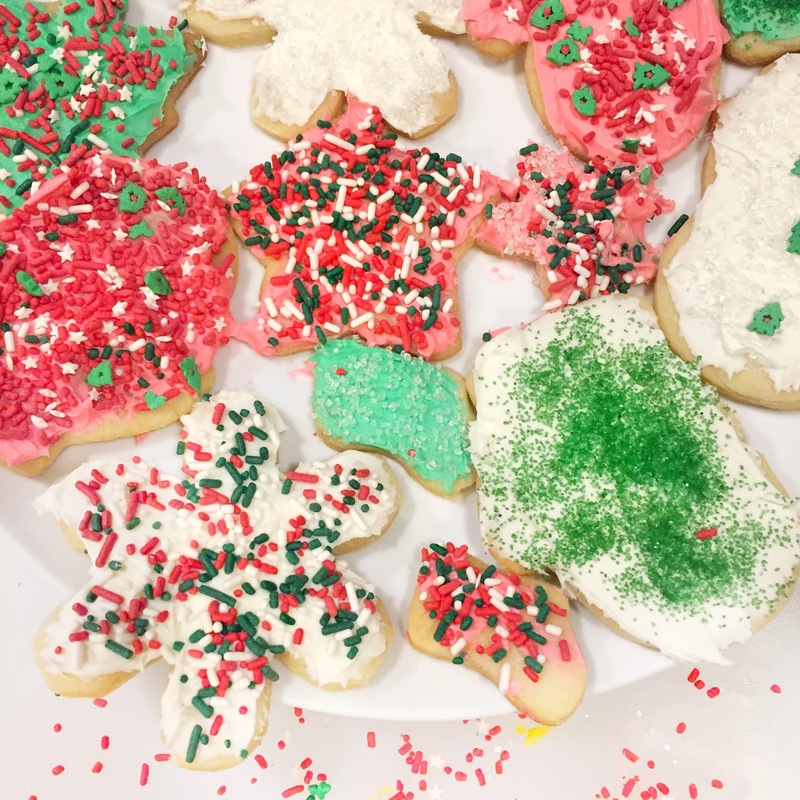 christmas cookie recipe for cooking with toddlers on my blog today!